I have worn all of these items at least thirty times. These clothes have all been worn thirty plus times. The items above are almost all casual knit or denim pieces that are suitable for my lifestyle and they have been in my closet for at least a few years. The styles are all classic in nature as opposed to trendy and they’re all basic enough that I haven’t grown tired of wearing them. A few of the garments shown have been worn over 100 times and thus have a very low cost-per-wear. I have worn these shoes and carried these purses at least thirty times each. Again, they’re all classic styles that work with many of my outfits and thus have been worn regularly. A couple of the bags haven’t been used recently, but I keep them around because I can still see myself wanting to carry them in the future. These 45 itmes will likely make it to 30-plus wears. You may have noticed a glaring omission in the group of “up and comers.” There are no dresses in the mix! That’s because I don’t tend to wear my dresses more than four or five times per year and I’m not sure if I will hold onto them for the six to eight years necessary to reach the thirty wears threshold. What this shows me is that I either need to start wearing dresses more often or maintain a much smaller collection. This doesn’t necessarily mean that I should get rid of the ones I have, but if I don’t really love certain dresses, it makes sense to pass those on so that my favorites will see more wear. What if They Won’t Last for 30 Wears? Another category that doesn’t feature prominently among my current or prospective “worn thirty times” groups is short-sleeved tops. This may seem surprising because I wear these items so often living in the Southern California temperate climate. The issue here has to do with quality. In recent years, I’ve found it increasingly difficult to find t-shirts that will wear and wash well. More and more these days, the care tags on such items specify that they either be hand-washed or machine-washed on cold in a delicate cycle. Whatever happened to the durable cotton t-shirts of yesteryear? They are still available to men, as my husband’s shirts tend to last well, but the quality of women’s knits has plummeted for the most part. These 19 knit items may not last until 30 wears. As you can see, most of them are tees, but there are also a few knit dresses included. All of these items have started to pill considerably or become stretched out and some of them haven’t even been worn ten times! This is especially troubling because I don’t always wash my clothes after every single wearing, as sometimes I only wear a given garment for a few hours. What’s more, I baby my clothes when I launder them and rarely put things in the dryer. They should be lasting longer than they are for sure. I’m sad to say that fifteen of the nineteen items shown above came from Nordstrom, which has been my go-to shopping destination for years. They used to be known for their exceptional quality as well as their stellar customer service, but that has changed. While good quality can still be found there, their dedicated store brands are not at all what they used to be. Consequently, I will have to start looking elsewhere for my tees and other knit items. If you have any recommendations as to where I can find quality t-shirts, please share them in the comments section, as I know I’m not the only one who’s having problems in this regard. I really want to do better in terms of my clothing sustainability practices and thirty or more wears from a garment is really not too much to ask, especially when we’re not frequenting “fast-fashion” establishments. These items that I purged earlier this year were all worn at least 30 times. When I purged these 14 items last year, they had all been worn 30-plus times. I’m not at all happy with those statistics! While it’s probably unreasonable to expect that we will wear 100% of our closet pieces thirty or more times, 19% is pretty abysmal. I’m sure that number was even lower before I started the blog, but I don’t like that I’m such a big part of the problem related to clothing ethics and sustainability. The reason the garment industry continues to perpetuate such grave abuses is that people like me keep buying the clothes! We add large numbers of clothing to our closets each year and don’t wear what we own nearly often enough. I can’t keep ignoring the elephant in the room. While I’ve downsized my wardrobe considerably and overhauled my style since starting this blog, I continue to experience far too much “wardrobe churn.” Too much is coming in and too much is going out without having been worn a decent number of times. This has to change and that’s why I’ve decided to adopt the every other week purchase plan that Mo of MOderate Wardrobe has committed to for 2017. I wrote about this in my shopping priorities and purchase update a couple of weeks ago and I know it’s the right thing to do. This way, I have a much better chance of being deliberate (my word for 2015) about what I buy and achieving a better balance (my word for 2016) in my closet. As the year winds down, I’m going to be doing some wardrobe experiments and challenges, as well as planning my 2017 purchases. I’ll be sharing more thoughts and insights here and will also post my initial 2017 list once I’ve created it. This list won’t be set in store and I will review it at least monthly and ideally before every single purchase. I want to better utilize what I have and make targeted purchases based upon the observations I’ve made about what’s missing from my closet and what I believe will add the biggest “bang for my buck,” so to speak, to my wardrobe. I will continue to track my wears (read why I do this HERE and learn about the system I use HERE) and keep my outfit journal. 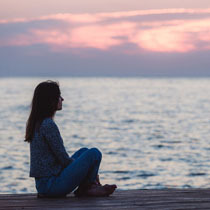 These practices take just a few minutes each day and have led to many valuable insights, so I intend to keep on doing them for the foreseeable future. I believe there will come a time when I’ll no longer need to do wardrobe tracking, but that will probably be when most of my closet pieces are being worn thirty or more times and when I’m buying less and making fewer mistakes. Until then, I will stay the course and keep learning and growing. The thirty wears benchmark adds a new layer to my recovery process and I believe it will help me to make better shopping choices. I look forward to being part of the sustainability solution instead of part of the problem! What do you think about the #30wears initiative? 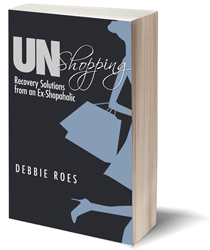 How will asking yourself if you will wear something at least thirty times change your shopping practices? What percentage of your wardrobe has been or will be worn thirty or more times? What changes do you plan to make, if any, as a result of this post and the #30wears project? Which wardrobe categories do you wear more or less than others and why? I look forward to reading your feedback on this important topic and to helping each other shop smarter and better use what we have. Thank you and have a wonderful weekend! This entry was posted in Accountability, Clothing Quality & Sustainability, Shopping Tips, Wardrobe Management. Bookmark the permalink. A very thought-provoking post. Looking at my current wardrobe, there are only a few things in it that haven’t or won’t be worm 30 times that I’ve bought in the last 2 years. Prior to that when I was working I bought far too many clothes, many that barely got worn. Now that I am retired I wear a very simple, comfortable wardrobe of tops, jeans, sweaters and casual shoes. I have so much that I will probably not need to buy anything but underwear and athletic wear for the next 5-10 years. The 30 wear concept is a good thing to keep in mind for both choosing the right things for our lifestyle/budget and for solving the problem of “fast fashion”. Tara, your comment proves what I’ve come to understand – that buying fewer pieces and for our actual lifestyle is what will help us to get more wears out of our clothes. I’m glad you are in such a good place with your wardrobe and are wearing what you have a lot! The 30 wears sounded easy to me a first–“Of course I wear my things 30 times”–but there are a few items that do not quite make it. I have worn two formalish outfits only two or three times each, and don’t know when next. Shoes and bags I definitely wear well over the 30 mark; everyday shirts, cardigans, jackets, and pants as well are worn many times before they wear out. I cannot recall giving away clothes before they wear out except some old spirit shirts from my days as a teacher. There were lots of those, and I couldn’t stand wearing them as a retiree, so I Goodwilled them, doubtless worn less than 30. I did give away maternity clothes after the second child, many years ago, and some I think were not 30 times worn. I commend you on this awareness, and I hope everyone who reads your blog will go for the 30+. It should help over-shoppers at the shopping and planning end of the wardrobe cycle as much as other strategies you have presented, plus it is of course ethical and frugal. I think formal items will be an exception for many people, Helen, but most of us need at least a small capsule of such pieces. It seems you are doing very well overall, which is wonderful. I hope a lot of people will take the 30 wears initiative to heart. It has made a big difference to my awareness and perspective. I agree with Tara, very thought-provoking! I quickly checked my spreadsheet and found that the 30-wear threshold revealed the clothes I love most and/or need to make outfits. And you gotta love the cost-per-wear! Very true, Tricia! I think we can learn a lot from looking at our most worn clothes and seeing what they have in common. That will help us to shop smarter in the future. For t-shirts, I recommend the Three Dots brand! Particularly the 100% cotton shirts that are made in the U.S. Some of mine are 4+ years old, have been worn dozens of times, and are only just fading a bit (I generally machine wash and line dry). They’re relatively pricey but none of them have pilled or stretched, and sometimes they have pretty good sales. They do also make some shirts that are a cotton/modal or viscose blend but I haven’t found those to be as high quality. Thanks for this tip, Ruth. I’m definitely willing to pay more for t-shirts that will last and your testimonial is very encouraging! I have been away for a while and it was nice to come back to such a thought-provoking post. I think it’s about time someone talked about this. I am not a fan of disposable fashion and long for the days when I could buy something that would last a few years at least. I think it’s a great question to ask, not just for clothes, but for all items that come into the house. I am happy to say that I have been doing well in this regard, or at least better than the days when I wore a handful of clothes out of an overstuffed closet. I have worn 42 out of 79 pieces of clothing for about a 53% wear rate. Before my closet cleanout and capsulization, I only wore the same 20 pieces out of hundreds, so I am happy to see this significant improvement. However, I will admit that I sometimes still get the urge to buy something new, mostly due to boredom with my wardrobe. I love trying new things, but I have to fight that urge to buy by reminding myself how much paring down my wardrobe has freed me to work more in other areas of my life. Reading about it has strengthened my resolve to lead a more minimalist life and to be proud to wear my clothes over and over, instead of ashamed. I noticed that I tend to wear my casual clothes the most, since I live in California. I still keep my formal suits and such because I occasionally do have to get dressed up. But I don’t know if I really need 7 suits when I only wear them a couple of times a year. Also, I bought one dress for weddings and other events and noticed I haven’t even worn that yet. I have to specify that I have worn 42 pieces for 30 plus times. Not sure if that was clear. Thanks for answering all of the questions I posed, Jane. Your great wear statistics are a testament to the magic of having a smaller wardrobe and getting rid of those items that are just taking up space and not being worn. I don’t think there is anything wrong with buying new things, especially if we can be mindful about it. Like you, I also wear my most casual items the most often. I’m glad this most helped to increase your awareness and your resolve to stay on the minimalism path. This is a very interesting angle to look at the wardrobe and cost per wear. I have briefly done my calculations and it turned out I had worn 50% of my wardrobe more than 30 times. But then only 20% of my summer wardrobe (I live in England :-)). It made me realise that I actually should not be buying purely summer items although I also do get bored and tempted by sales. I’m glad this post helped to increase your awareness, Alla. Good for you for wearing half of your wardrobe at least 30 times!I have a similar experience with summer items – and I live in Southern California! I think it’s because I love summer so much and have just bought too many such items. Doing these types of exercises can help us to change our buying habits and make them more in line with the reality of our lives. Thrift stores and consignment stores. I’m guessing the previous owner already got some wears out of them. If they still look good, they are sturdy enough to last a while. L.L. Bean makes decent quality clothes, though their cuts may be a bit boxy. Land’s End cuts have improved, but the quality has declined. Thanks for the tips, Nutrivore. I have found some good knits at thrift and consignment stores, too, although I’m seeing more “fast fashion” in such places over time. Sad about Land’s End quality, but the problem seems to be trickling down into all places now. I try to get as many wears from my clothes as possible, although I don’t track it the way some of you do. Sometimes for its not so much about the number of wears, as the number of useful years I get out of a garment–and sometimes I get lucky and meet both criteria. Like today for example, I am wearing a pair of 3+ year old jeans which I have probably worn well over 100 times. On the other hand, I have a silk skirt which doesn’t get worn often–but I’ve had it for 12 years yet it still feels current, and has been styled many different ways. Sometimes despite your best efforts, you just can’t get a lot of wears out of something due to accidents befalling the garment or laundry disasters that can’t be fixed. I’ve had to learn how to handle some of the newer fabrics, typically rayon/spandex knits that proliferate everywhere–I’ve learned not to put them in the dryer and to have a deft touch with a fabric shaver, because they “micro-pill” (I don’t know if this is a real word, but that’s what I call it!) and can start to look shabby. One problem I have is with tee shirts keeping their color–if they have high cotton content, no matter how carefully I wash them, they tend to fade, especially at the edges, after a few washings. 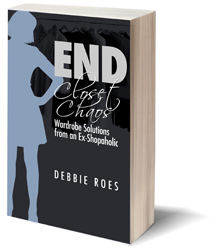 Debbie I just recently found your site– I have been writing a bit about slow fashion and my own chaotic closet recently and I have found your words to be so helpful! I have been trying to be a more conscious shopper for at least the past three years and it is so hard to break out of the cycle of wardrobe churn! I really like the concept of thirty wears as an approach to wardrobe planning/building. I tend to wear things either a lot or hardly at all, but I also tend to start out optimistic about everything! I know I have a few things that I’ve worn at least thirty times but I haven’t kept careful track– but I think I’m going to start. We are in much the same place in terms of “wardrobe churn” and wanting to be more responsible shoppers. I think that if we continue to think and write about these topics and work on being more mindful, we will get there eventually. I hope that tracking will bring you awareness that can lead to positive changes. Sometimes the things we learn are painful to acknowledge, but they can also be empowering. Best wishes! i agree about some clothing not lasting for 30 wears or washings specially knit wear. Yeah, it’s sad, isn’t it, Linda? I’m going to try to compile some information about quality knit wear and share it in a future post to help all of us to find better options. You should definety have a look into Everlane! Really high quality and timeless styles! Thank you, Kiki. I will check out Everlane! I’ve heard of them, but have never bought any of their pieces. Maybe it’s time to start. I am certainly guilty of having less than 30 wears with most of my wardrobe. Looking at my wardrobe list, I would say less than half falls into 30+, 1/4 is brand new (new fall/winter items + summer sales), 1/3 is between 5-20 wears. This is after a recent large downsizing of half of my clothes that got 0-10 wears! I’m determined to be more conscientious this year about my purchases and not let my compulsive impulses take over. I have phases of victory but I fall pray to buying for a fantasy life VERY easily. I do have to make a great effort all the time to remind myself that I have more than enough and what I have is already perfect for my real life. I know what you mean about falling prey to “fantasy buying,” Wendy. I do the same thing myself even though I always vow not to. Fancy clothes always feel more exciting, but I have nowhere to wear them! I like what you wrote in your last sentence and I too need to remind myself that I have more than enough and don’t need to keep buying and buying. Although I don’t track, since my wardrobe is on the small side I’m sure I get more than 30 wears from many of my clothes. However although I buy the best quality I can find, with increasing poor quality manufactured these days my clothing begins to look shabby long before it receives 30 wears, and some items fall apart much sooner. This is a sad state of affairs, isn’t it, Terra, especially for those like you who have made such great strides in buying less and having a small wardrobe?! We can only do our best given the information we have, but sometimes “tried and true” brands experience dips in quality and their pieces don’t last. I remember that Dottie used to always write that we need to push back on these brands and let them know. I know it’s a lot of work to do so, but I think it’s a good idea. I haven’t been tracking my wardrobe. My current fall/winter capsule would probably pass the 30+ challenge but the rest of my closet (clothes I consider my “store” for shopping in when I get bored with my capsule) … well, some are old favorites that would pass 50+ but some haven’t been worn much at all. Hmm. I’m not churning my closet. I did a hard edit this fall and at least 200 items either went to consignment or vintage stores and the rest to friends and family. So I’m really happy with what I’ve got. I’m not planning many purchases the rest of this year. When I’ve just gotten through the hard work of downsizing my wardrobe, I’m not in any hurry to put more stuff in. I need to keep “shopping” the rest of my closet. PS Can I count all the wears my former clothing is getting in their new homes? Uniqlo t shirts are Pima cotton and have a good feel. I haven’t had them long enough to know how they will hold up. I try to steer clear of rayon. Doesn’t seem to last. I am disappointed if I can’t get at least 5 years out of garments. Last couple of years I have spent more than I wanted on clothes but it was mostly because they were getting threadbare! I prefer quality over quantity. Thanks for the tip about Uniqlo, Queenie. I wish they had a store near where I live, but I guess I can still order from them online. I have had the same experience as you with rayon. I like the feel, but it’s not very durable. Quality over quantity is really the way to go for many reasons. I would love to get 5 years out of all of my clothes and hope to get to that point soon. T shirts and poor wear can be a problem. All my Ts are washed on cold no dryer. I only wash T’s when they are dirty [infrequent] or smelly. I am not counting exercise Ts here. the winners: Boden, Talbots, Jones, Eileen Fisher  linen T’s. All worn 20+ per year and going strong. Most of my T’s are bought 2nd hand or on ebay for a lower prices. It works well. But I did buy 3 new caslon[nordstrom] linen T’s this year new and they have been worn 20+ times and are doing well. Currently I have been having better luck with linen T’s and I prefer them. Thanks for sharing your t-shirt winners and losers, Mary. Like you, I wash my tees on cold and don’t put them in the dryer, and I also only wash them when they are dirty as opposed to every single time no matter what. I used to love Eddie Bauer’s tees, but they have gone down considerably in quality and I no longer buy them. I have had the same experience with the Caslon tees, but I haven’t tried the linen ones yet. I will check those out. I second Boden cotton Ts. Mine have held up well to weekly wear and washes. My Everlane linen Ts have washed well and get worn a lot. I swore off any Banana Republic or Ann Taylor Ts, even linen, no matter the sale price, as the quality is low and they do not last or wash well. I also avoid any of those very thin cotton Ts that seem so light and airy (I had some from Madewell and J Crew). The fibers wear out and they get small holes in them quickly. I am curious about American Apparel Ts and may try one next time I need a white T.
Thanks for this feedback, SC. It seems like a lot of people like Boden and Everlane tees. Interesting about Banana Republic and Ann Taylor. I haven’t purchased tees from those retailers in a while, but it’s sad to learn that they have joined the low quality bandwagon. If you try American Apparel and have good luck, please let me know, as I haven’t tried their tees, either. Queenie, thanks for your thought about Uniqlo Pima t shirts – I will check those out. My question to you all is when you wear classic clothes or any other styles you like and feel good in, do you worry about how other people perceive you ? I posted a question about combining older styles with newer ones and hot some great ideas but some personal stylists seem to think that classic clothes also have a definite life span and then the look old fashioned and other people will perceive you as old fashioned/frumpy. I love my classic clothes and feel they suit me. I cannot stand fast fashion at all. The advice here and on Imogen Lamports sites is very helpful to give me new ideas on my wardrobe. Anything that looks obviously dated I don’t wear, but I find that lots of things I’ve bought 10-15 years ago still look good and wearable. No worries about leaving a long comment, Little Tabby! I agree with what Tara C had to say about a lot of older pieces still being wearable without looking dated. There is a wide continuum between noticeably dated and on the cutting edge of fashion. If we don’t buy ultra-trendy pieces, they will stand the test of time a lot better. There is a lot of “it depends” in regards to how long classics will last, so the 6-10 years guideline given in the article you linked to is probably just a “rule of thumb” that doesn’t apply to everything. Combining older pieces with newer ones can help to “freshen up” your classics and add new life into them. Also, those who dress in artsy avant-garde clothing will likely never look “dated” because they never really looked “in” in the first place! The article gave some good things to look for and I’m glad you mentioned Imogen Lamport’s blog because she writes a lot of great articles that are very helpful. In fact, my guess is that if you posed your question to her in an email, she would write a blog post about it! Best wishes to you! Hi Debbie, thanks so much for your encouraging comments. Most, if not all of my clothes are not trendy and not frumpy. I will continue to enjoy wearing them and get new ideas from the style makeover and Imogen’s site. I also wear any colour I like that I feel looks good on me. Happy to provide encouragement, Little Tabby (love that username, by the way!). Best wishes with your wardrobe. It sounds like you are on the right track! I love how your post always make me think of things in new ways! For me, skirts and dresses are hardest for me to wear 30 times. I will try to wear more items in my closet (not just try them on) to see if they actually suit me enough to keep for 30+ wears. As for thinking of this when I’m buying new things, I’m always so optimistic about new items that I’m not sure it will help me buy less. I’m glad my posts help you to consider new things, Angela. I struggle to wear my skirts and dresses 30 times, too, but that’s mostly because I buy too many of them and they are mostly worn in the summer months, which is only about a third of the year. Like you, I’m also pretty optimistic about my new purchases and think I will wear them “all the time.” But what I think WILL help is noticing which wardrobe categories (like you said skirts and dresses) don’t get worn as often and then pull back on buying so many of those. I don’t wear dresses, skirts and dressy clothes to often so I stopped buying them. I am trying to focus on basic casual style. Yes, Dorol, it’s getting harder to reach the 30+ milestone these days in light of poor quality garments. Knit wear is definitely the most challenging and that makes up the bulk of my wardrobe due to its comfort and casual nature. It’s good that you no longer buy the types of garments you don’t wear. Narrowing our focus on buying what we actually wear will help us to reach a higher percentage of things worn at least 30 times. I will echo those mentioning Boden for T-shirts. I shop almost exclusively at Boden and Ann Taylor/Loft for work stuff because their sizing is fairly consistent and the quality is good. I recently branched out and bought a few casual pieces from Boden, including their Breton shirt in SS and LS, and they are fantastic. Durable material, thicker fabric, and classic styles. Their stuff is a little more expensive ($35-$45 for a shirt) but if you can catch their stuff on promotion, you can get some fantastic deals. Uniqlo is also really decent for basics. I wear their camisoles and tights exclusively, and LOVE their cardigans. I also bought an emergency pair of their “trouser leggings” while in England and they are now one of my favorite pairs of pants. They will definitely have items in your jewel tones and are also always running sales. Thanks so much for your feedback on Boden and Uniqlo, Melissa. It’s good to know that there are some retailers that are still producing quality t-shirts and other knitwear. I would definitely be willing to pay $35 t0 $45 for a t-shirt that lasts. The ones I buy from Nordstrom sometimes cost more than that and aren’t even making it to 15 or 20 wears in many cases. That’s great that your emergency pair of trouser leggings became a wardrobe workhorse! I’ve had good luck with Land’s End T-shirts, although lately the fabric quality is less reliable than in the past. I prefer 100% cotton or with 2-3% spandex for a little stretch. Their cotton/modal blends are too thin feeling, but that’s just my own preference. The “shaped” fit is probably better for layering, but I also like the “relaxed” fit. I stock up on needed colors/styles when I have a high-value discount code and only order from the sale/clearance section of their website. Other favorite knit tops are from J.C.Penney, Talbot’s, J. Jill, & Ann Taylor. I launder knit tops inside-out, in net bags, on cold, & dry inside-out on delicate cycle. Thanks for your feedback, Julie. Another commenter above also mentioned that the quality of Land’s End tees has gone down. I appreciate your retailer suggestions, as well as laundering tips. It’s sad that we would need to wash t-shirts in net bags on delicate cycle, but I guess we do what we need to do in order to get more wear from our clothes. I like Peruvian Connection turtlenecks. I have had some nearly ten years and worn them 200+ times. No pilling or fading, I have yet to replace one. The colors don’t match the catalogs, and you have to pay for exchange or return shipping, but the quality is excellent. I’m not familiar with Peruvian Connection, but it sounds like you’ve had amazing success with the items you’ve bought from them, Jo! Having to pay for exchange and return shipping is no fun, but once we know our sizes, we shouldn’t have to worry about that for the most part. Thanks for the tip! I tend to keep my clothes a long time so eventually most things will be worn 30 times. When I buy a replacement item I will tend to ‘demote’ the worn one to home wear, then later to hobby wear . I will often ‘archive’ items I’m not wearing rather than get rid of them and often they get a new lease of life within a couple of years. I experiment with new ways to wear old clothes periodically as recent purchases can give them a different look. I don’t get rid of things for the sake of a small wardrobe, or one where every item is currently well used. I have some items for smarter and special occasions which rarely get worn, but I keep them so I don’t need to buy something new. If I know the item won’t be worn much I will try to buy something second hand. I’m increasingly buying cotton/cotton mix tops and blouses rather than T shirts as they last longer looking better. I often try to buy items which are ‘in-between’, neither casual nor smart and can be worn from casual day to smart casual evening, and items which will dress up or down, so that I can wear theme on more occasions. You seem to be a master of clothing sustainability, Lynn! I like your idea of “archiving” clothes for a while to see if you will want to reach for them again in the future. I think this works well for you because you seem to have a good sense of what you like and your wardrobe goals and you don’t buy a whole bunch of new items all the time. I also like the idea of buying “in-between” items to get more wear out of them. I’m sure you have a lot of great tips to share, so if you’d ever like to write a guest post, I would definitely be open to it. Patrica of the edited capsule here. While my capsule for everyday gets heavy wear, I also have a dressy capsule for those “special event” clothes. These are pieces I can wear with other dressy items or mix with my basics capsule for a refreshed look. Special occasion clothes do not get worn much. You can see that when you shop vintage. Lots of very dressy items and almost nothing for everyday wear. Those pieces all got used up and worn out in their first life. We live in a 1920s brick tudor house. The closets are really tiny because they didn’t have very many clothes. Women had house dresses and Sunday best and maybe an older Sunday best. And that covered all of her wardrobe needs. We don’t live like that anymore, but it’s a good reminder that we might actually not NEED all the clothes we think we need. I know what you mean about smaller closets in older homes, Patricia. I’ve noticed the same thing and complained about it, but I should have taken it more to heart like you have. You’re right that we don’t need nearly as much as we think we do. I think that for most people, it will be hard to wear special occasion items 30 or more times, but we should be able to reach that milestone for most of our other things. Buying dressy pieces vintage seems like a good way to go in terms of sustainability and cost-effectiveness. I am glad that the #30wears builds awareness around problems in the clothing industry and provides a framework of mindfulness for making shopping decisions. I think such initiatives like #30wears or #slowfashionoctober are great for changing the way we think about wardrobes and clothing. I think it is interesting that its 30 wears, instead of 10 or 100. 30 wears actually strikes me as very low for everyday pieces, but I recognize that it might not seem that way to everyone. Perhaps the specific number isn’t as important as is the idea of stretching yourself to use what you have much more and consume much less and with much more deliberation. While individual awareness is important, I also think a collective voice is critical. Ultimately, the clothing industry needs to change, not just individual behaviors. I think the industry may change when people collectively refuse to participate with its madness. It is also incredibly infuriating that not all clothes wouldn’t last for 30 wears. That has got to be the most offensive and frustrating part of all. It just is nuts that if we’re going to expend resources and money to make clothes that we’re not making them as durable as possible. But, all of this aside, I am glad more and more people are becoming aware of the insanity of the clothing industry. Thanks for sharing your thoughts and resources, cm. I agree with what you expressed, including that 30 wears is still a relatively low number, especially for wardrobe basics. But I think that the creators of the movement wanted to select a number that would feel doable for most people. If everyone wore the majority of their clothes at least 30 times, it would make a huge difference in many ways. Hopefully, if more of us push back regarding poorly made clothes (by complaining to retailers and buying better quality), changes will be made over time. Oh, good point! Hadn’t thought about the approachable / achievable factor. People wouldn’t do it if they didn’t think they could. I aim for wearing things every two weeks. Right now, I have five sweaters in rotation and five pairs of jeans so I am wearing these every day with a colored GapFit breathe long sleeve tee underneath. These tees are my current favorite but they are not cotton. Many years ago, I used to wear the pima cotton tees from LLBean to work because they had a dressier look than most tees and could substitute for a blouse. After that, I wore the Perfect tee from Old Navy. (Once I figured out the sizing, I could order colors on-line.) Several years ago, I wore a Split Neck Knit Tunic with Soutache Trim from Isaac Mizrahi on QVC.com and the fabric was very nice, had cotton in it, and felt substantial. This tunic is no longer available but he has other tees in his Essentials line that I have not tried yet. Some people rank the items from Denim & Co line on QVC highly but I have not tried any items myself. I wore some tees from the Gap on occasion because once I get the size right, I can order on-line. After a time, every line changes and you have to go into the store and try on the new styles to get the sizing right. I will say that the hunt for a comfortable and basic tee that fits well is worth the time. Having some basic tees that wash and wear well can make one’s life so much easier.